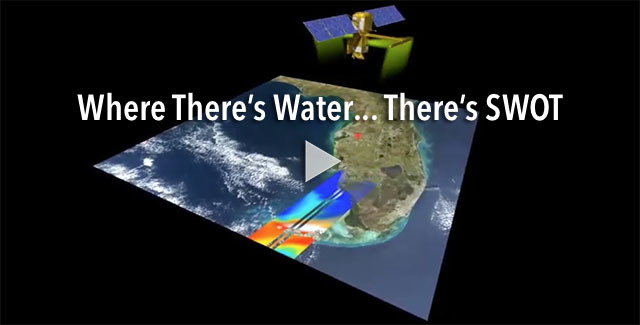 The Surface Water and Ocean Topography (SWOT) mission will be NASA's first global survey of Earth's surface water. 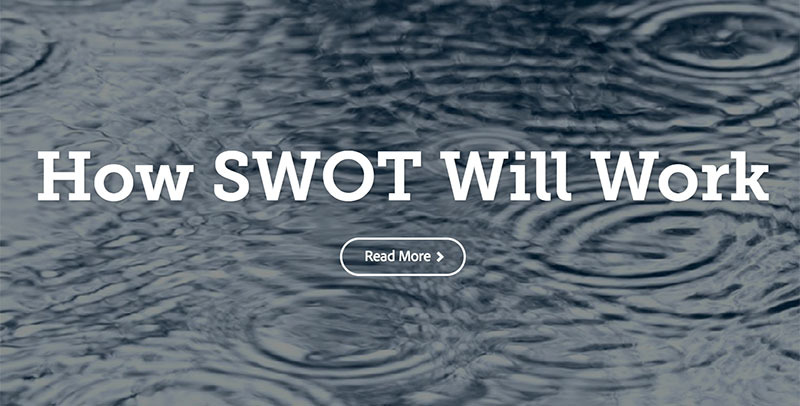 The SWOT Science Team has researchers from around the globe with expertise in oceanography and hydrology. This multidisciplinary group is tackling pressing issues such as availability of Earth's freshwater resources, our changing ocean and coasts, and much more. Their studies will be essential for achieving societal goals of clean air and water, preparedness for extreme events, and adaptation to long-term environmental changes on continental scales. Using state-of-the-art "radar interferometry" technology to measure the elevation of water, SWOT will observe major lakes, rivers and wetlands while detecting ocean features with unprecedented resolution. SWOT data will provide critical information that is needed to assess water resources on land, track regional sea level changes, monitor coastal processes, and observe small-scale ocean currents and eddies. The warming of Earth's climate may profoundly alter the movement of freshwater resources from lakes to rivers to reservoirs, resulting in significant societal impact. Without an adequate inventory of Earth's lakes (e.g., volume of freshwater storage), it is not possible to assess the effects of environmental change on agriculture, industry, and other sectors. In addition, existing stream gauge systems are limited in many areas, especially remote and politically unstable environments where people are often most vulnerable to floods and droughts. Adequate knowledge of river flow and discharge is imperative for managing water resources and planning for natural hazards like floods and droughts, particularly in river basins that sustain large human populations around the globe. 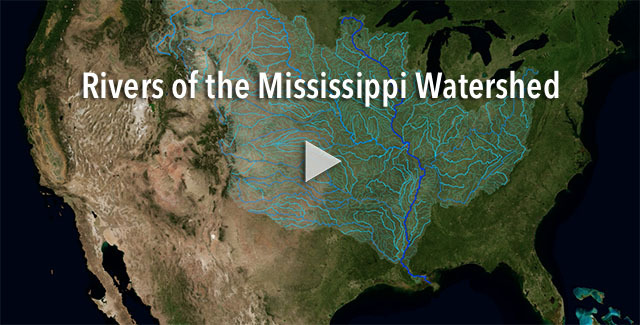 Understand the global water cycle on land. Study the dynamics of floodplains and wetlands, which influence flood control and the balance of ecosystems. Provide a global inventory of water resources, including transboundary rivers (i.e., those that cross international borders), lake and reservoir storage along with river dynamics. 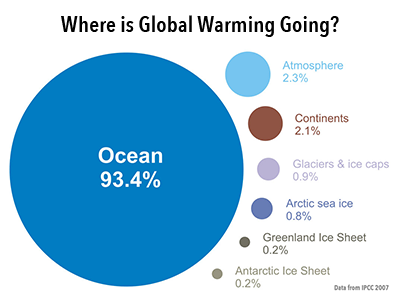 The ocean is the planet's largest reservoir of heat and carbon dioxide, which are distributed by currents. Global ocean circulation balances Earth's climate and makes our planet habitable. 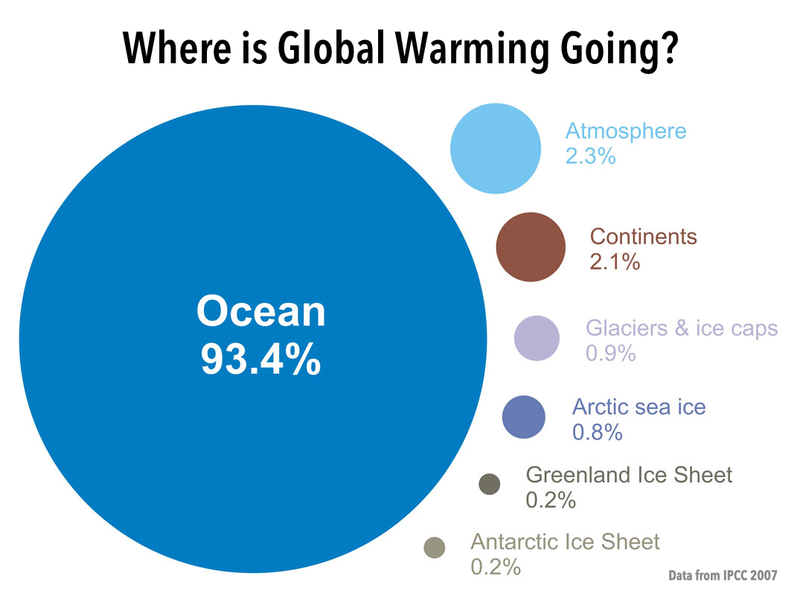 Existing Earth-observing satellites have revealed much about ties between climate and the ocean, including global warming and sea level rise. These sensors have also monitored currents associated with the large-scale hills and valleys (topography) at the sea surface, features that change dramatically in El Niño and La Niña conditions. However, much ocean motion occurs at scales too small to be detected globally with today's technology. These small-scale ocean currents contain most of the energy that powers the mixing and transport of water, thus are important factors in assessing climate change. Moreover, ocean currents and eddies at these small scales are important to coastal processes such as ship navigation, beach erosion, and dispersing pollutants. Measure ocean currents and swirling eddies at scales as small as 20 kilometers (13 miles). 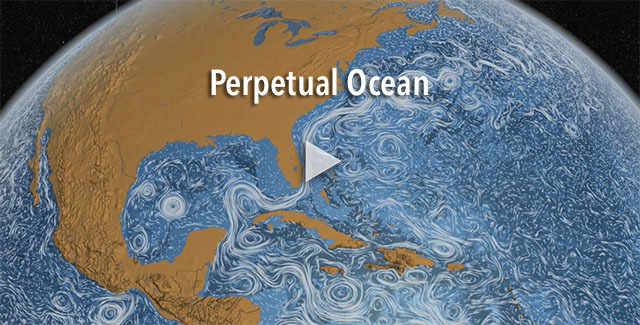 Improve computer models that use ocean circulation data to project future climate conditions. Better understand coastal processes including those related to fisheries, ship navigation, shoreline erosion, and dispersal of pollutants. This document summarizes the findings from meetings of the SWOT Science Working Group (SWG) with a purpose to provide information on the potential opportunities in science investigation and applications as well as on the preliminary design of the SWOT mission concept. The Working Group I contribution to the Intergovernmental Panel on Climate Change (IPCC) Fourth Assessment Report describes progress in understanding the human and natural drivers of climate change, observed climate change, climate processes and attribution, and estimates of projected future climate change.